The holiday season is upon us and you know what that means – time for holiday get-togethers with friends and family. 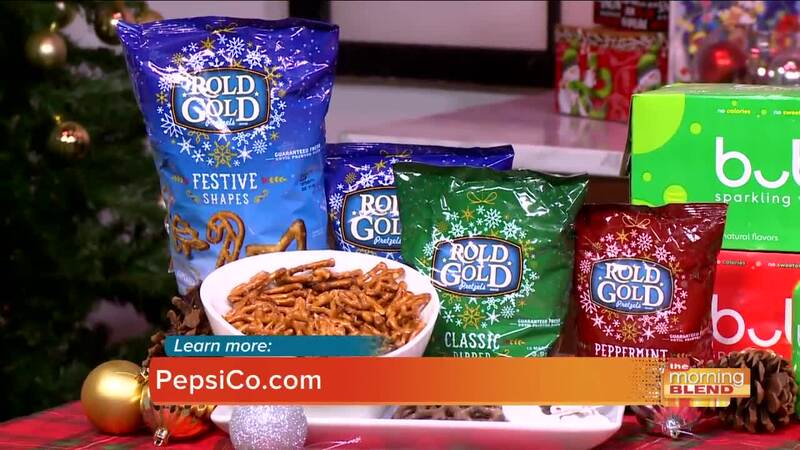 From snacks, beverages, stocking stuffers and more, this special time of year is filled with seasonal holiday flavors to enjoy at all types of festivities. According to a recent national poll, nearly a quarter of Americans feel ‘extreme stress’ come holiday time. So, how do you manage the various holiday festivities in a way that makes everyone happy and keeps your stress level at a minimum? Well, we have you covered. Raina Seitel is an Emmy-award winning broadcast journalist. She is a host, writer and producer, currently seen on NBC’s daily lifestyle program, “New York LIVE!” In addition to television, Raina can be seen on the small screens of your taxicab, hosting live, in-studio at 30 Rock and interviewing on red carpets around the country. With extensive experience at CNN, ABC’s “Good Morning America,” and NBC, Raina has profiled and interviewed well-known celebrities and public figures. Her segments range from tasting cuisine at the newest restaurants, profiling the hottest fashion designers and trying the newest fitness craze, to showcasing the latest products in parenting. When not busy working in the media, Raina switches gears and devotes time to her family, including her 9-year-old son, and 15-year-old dog.